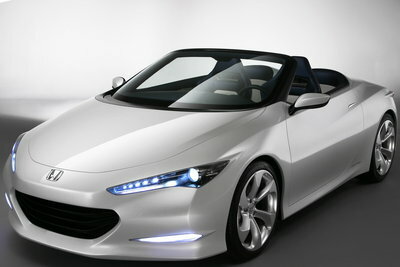 Honda's low-emission sportscar study model has been revealed at the British International Motor Show, at ExCel, London.. The lightweight roadster design study is a concept showing Honda's core engineering principals, designing stylish and exciting cars that are also environmentally responsible. Named the OSM (for Open Study Model), the two-seater joins the confirmed-for-production CR-Z sports hybrid and FCX Clarity hydrogen fuel cell car on the Honda stand at the show. "We're trying to show that low emission...Read.